It is like Love, Maybe a long distance one, but it is. The inescapable desire, the deep obsession that leaves the traveller no other choice than to plan his next expedition back to his amoureux- The Himalayas. 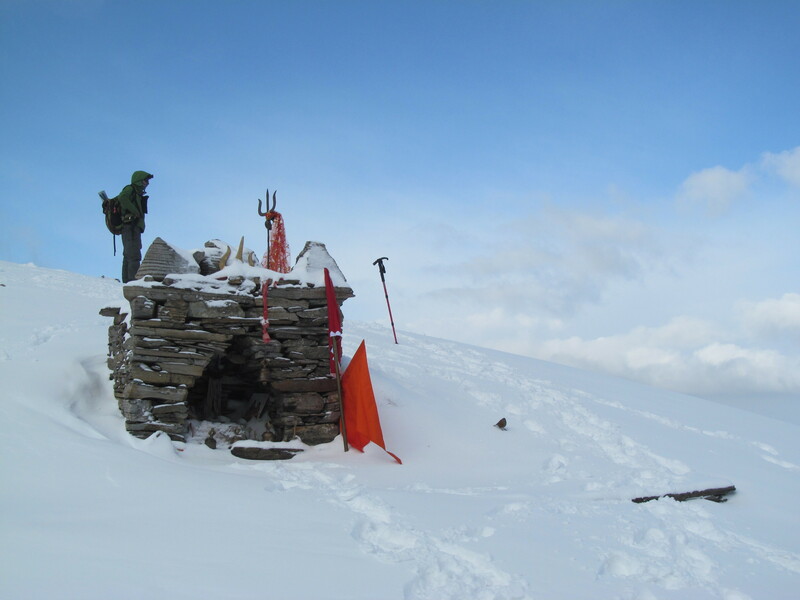 This next expedition of ours was to Roopkund. 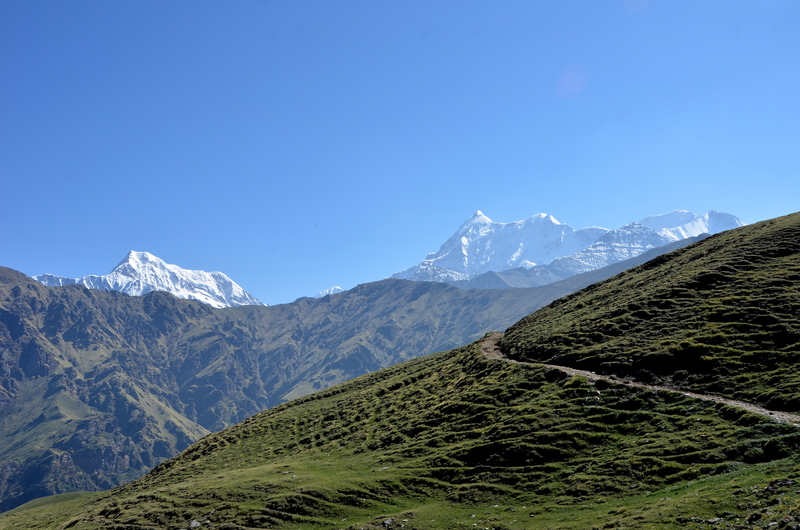 Roopkund is a well known pristine high altitude galcial lake that lies in the lap of Trishul masiff in upper Himalayas. It is well known for its mystic and spiritual essence. The trek has every delight for a tasteful trekker. It has Deep forests, splashing rivulets, breath-taking meadows, great campsites, snow and ice, everything wrapped in a package as we climb from 8,000ft to 16,000ft in 5 days. 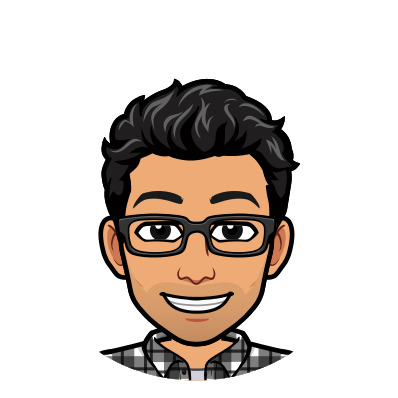 NOTE : This is a lengthy post. So put on those reading glasses and grab some popcorn as it will take time to load. 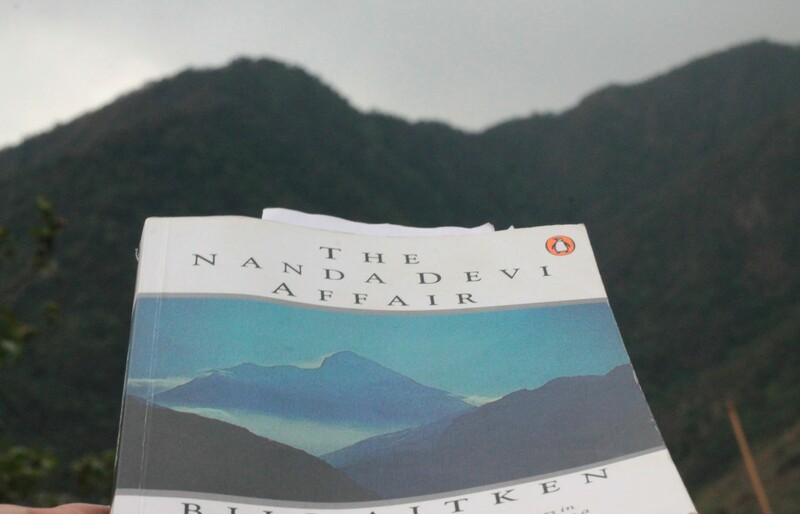 And please for the sake of the super awesome pictures yet to come, view on a big screen :D.
From the Local guides and the book that I was reading (The Nanda Devi Affair) on the trip. I came across various myths associated with this trail. 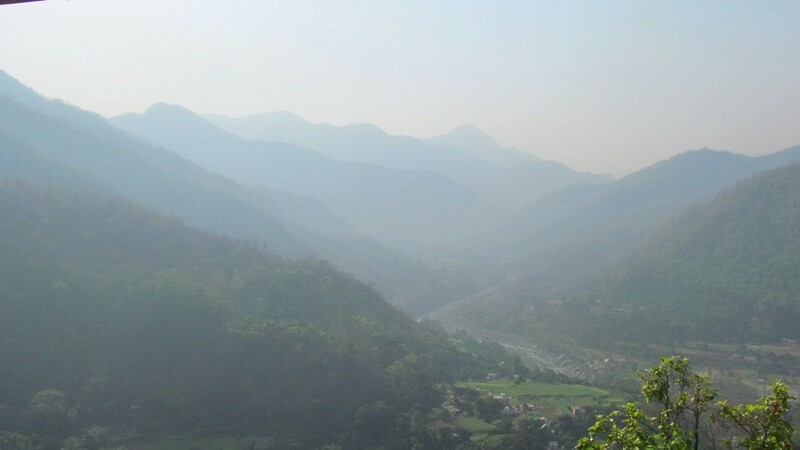 Loharjung is named after the demon loha. Who was killed by Goddess Durga or Nanda Devi on the same lands. 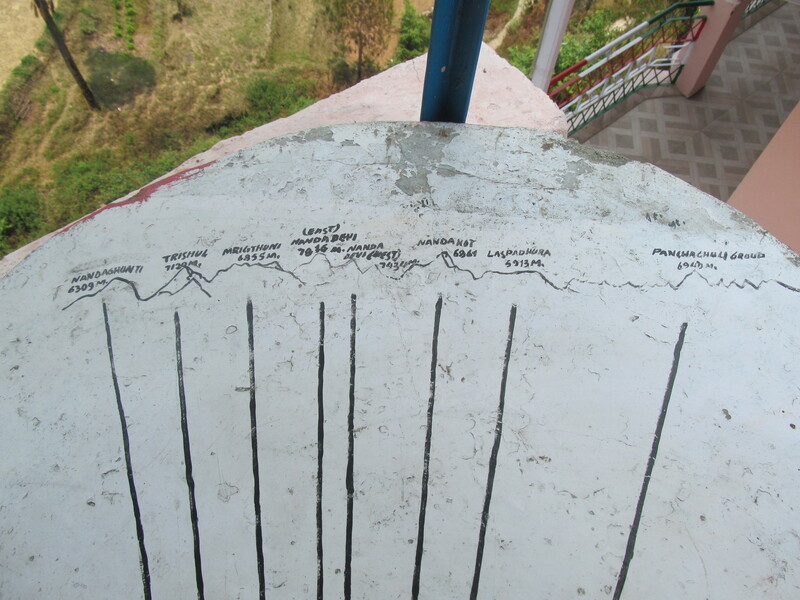 Lord Brahma wrote the four Vedas near bedni kund in Bedni Bugyal. Gohralatauni a place further ahead. 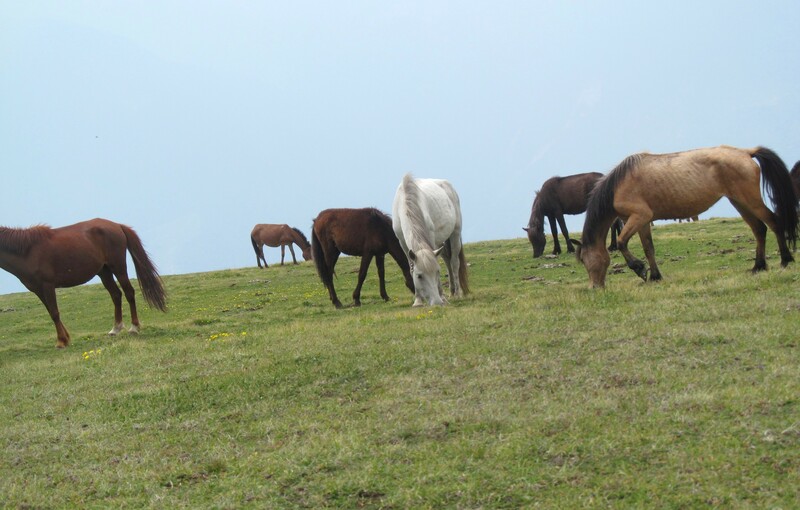 It is named so because from here the horses return back due of lack of pasturable lands and rocky paths. 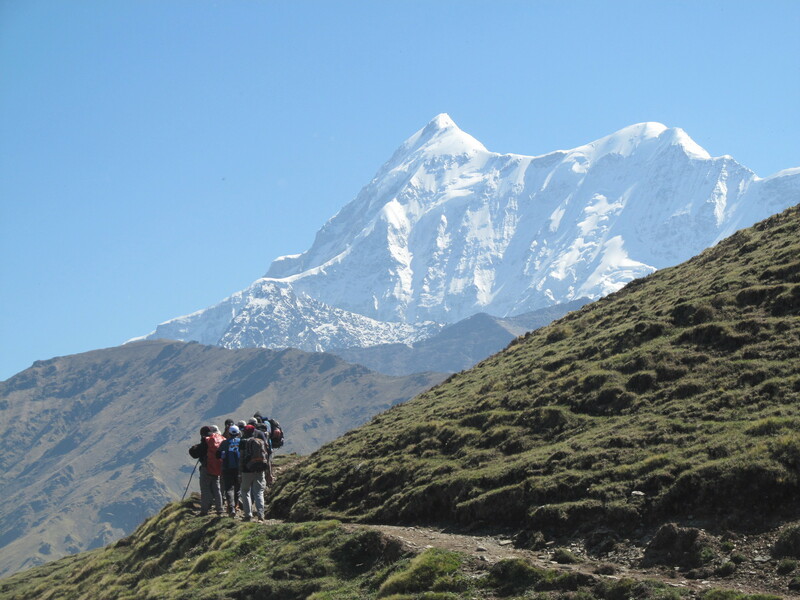 The king of Kumaon took a pilgrimage to Nanda Devi with his dancers. This disrespect made the Goddess very angry and infuriated she cursed the dancers to become Stones. At Pathar-nauchani we can see many big stones connected to the folklore. There is a temple of Kalu Vinayak at the end of steep climb after pathar nauchani. 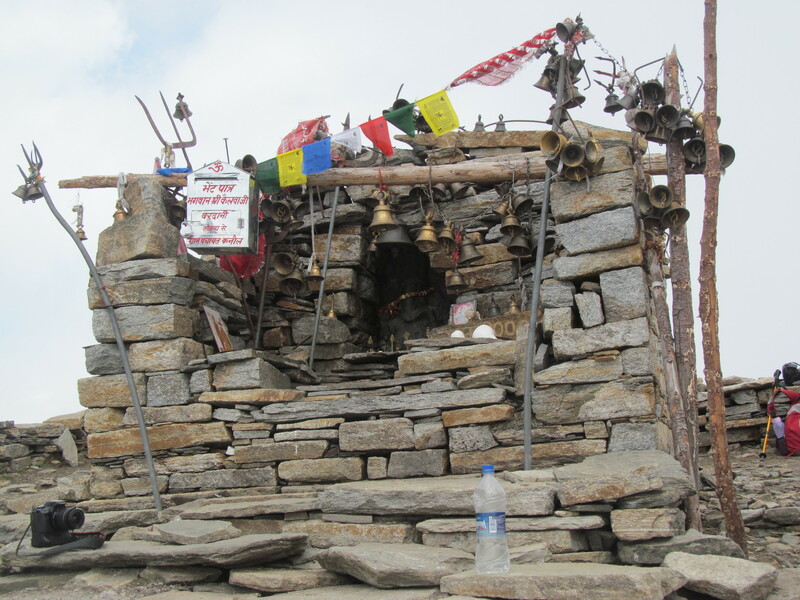 Legends has it that lord Vinayak (Ganesha ) stood Gaurd as Goddess Parvati was taking bath at roopkund lake. 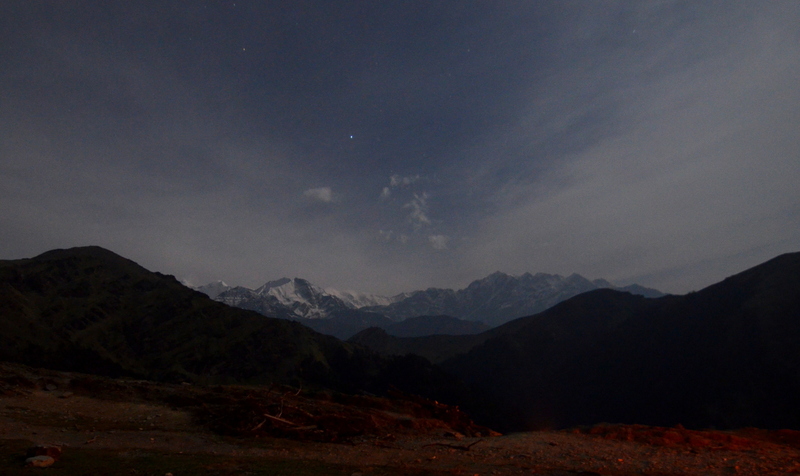 At our last base camp to Roopkund at “Bhaguwabasa” Goddess Parvati left the tiger for the bath. 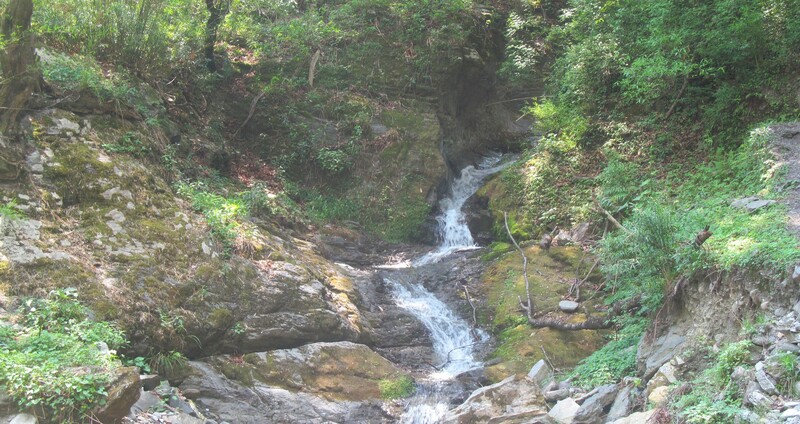 Legend says that while Lord Shiva and Goddess Parvati were on their way to Kailash, Goddess Parvati felt thirsty. 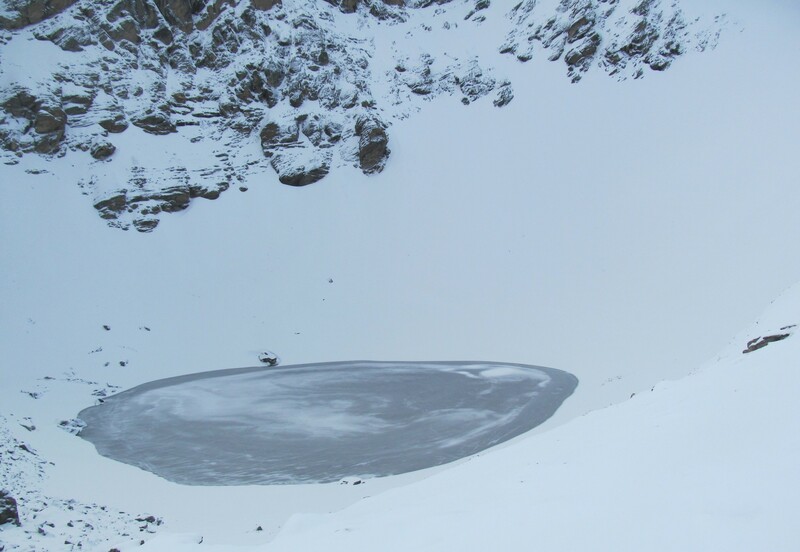 So Lord Shiva with his Trishul created the Roopkund lake. It was here that the Goddess Parvati first saw herself(roop) in the crystal clear water of the lake. 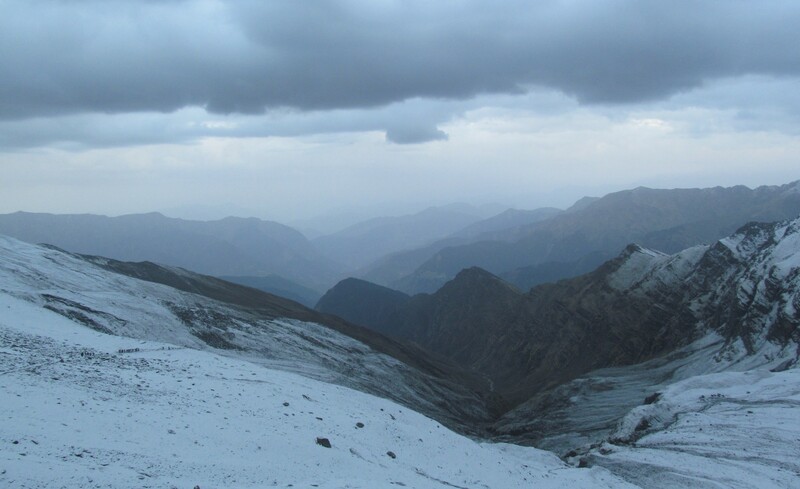 Hence, it is named as Roopkund. 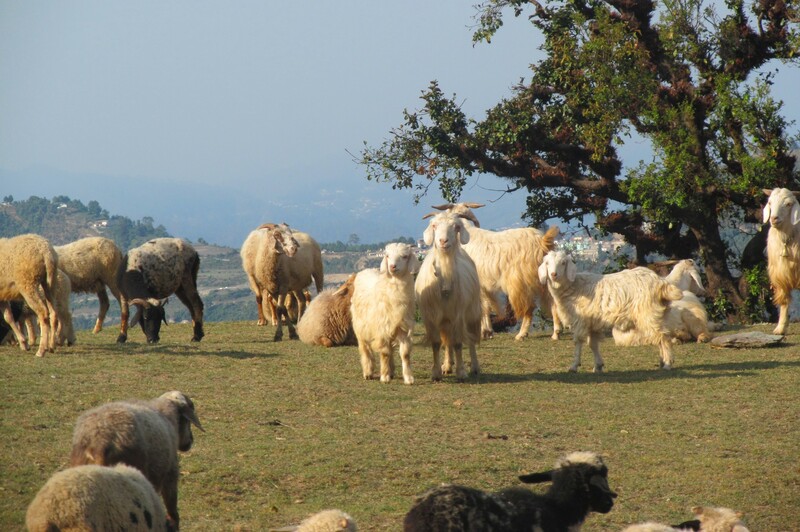 Every 12 years a four horned ram is born in some village and this marks the auspicious beginning the Nanda Devi Rajjat Yatra. This Yatra is done by thousand of villagers to pay offerings to Goddess Nanda. The yatra ends in Homekund. 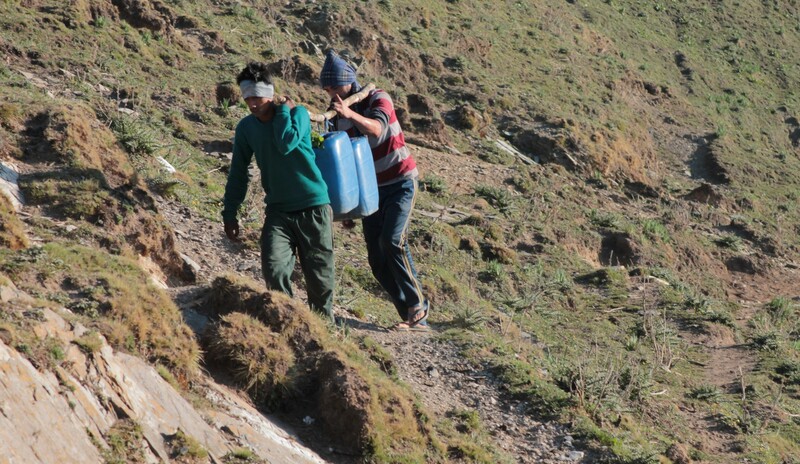 The local undertake this harsh journey barefoot from Bedni Bugyal to Homekund. 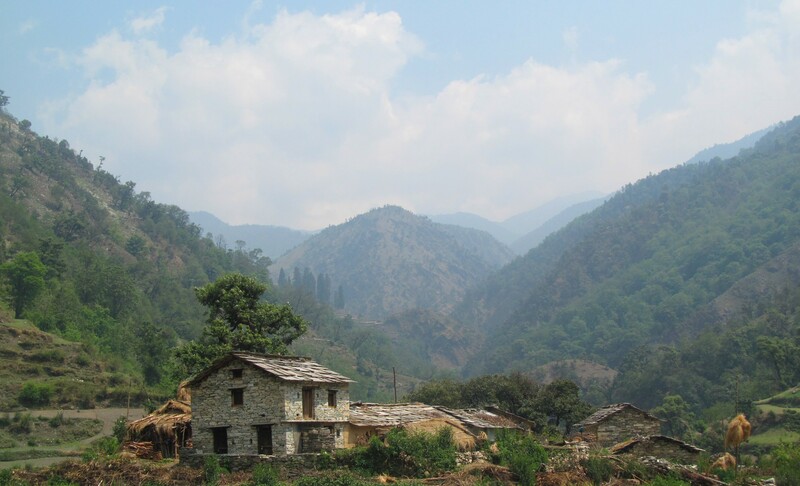 This Yatra unites both the Kumaoni and Garhwali communities of Uttarakhand. The biggest mystery is of over 500 skeletons in the lake. These are believed to be of the travellers who lost their way somehow. These skeletons date back to 1000 AD. As the lake is at the confluence of three ridges, someone falling from the ridge is most likely to fall in the lake. But local guides tell a different story. Once the king of Kanauj - Raja Jasdhawal undertook Raj Jat Yatra along with his wife. Who near roopkund gave birth to a child. 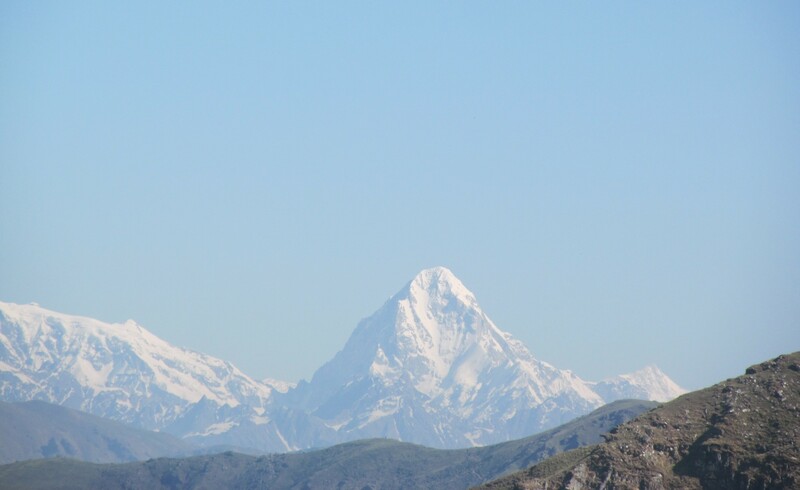 Goddess Nanda Devi considered it a sacrilege in her domain and sent down a hailstorm. 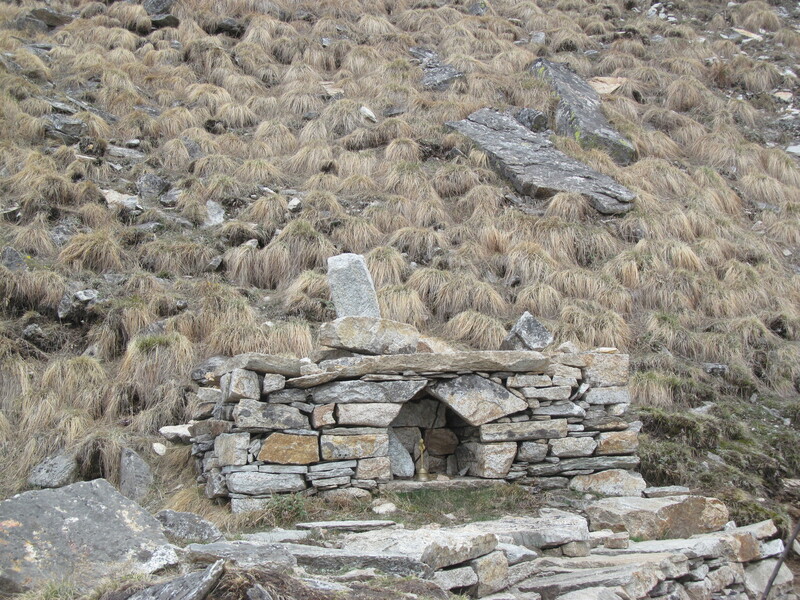 Raja’s people were caught in it and perished in Roopkund. 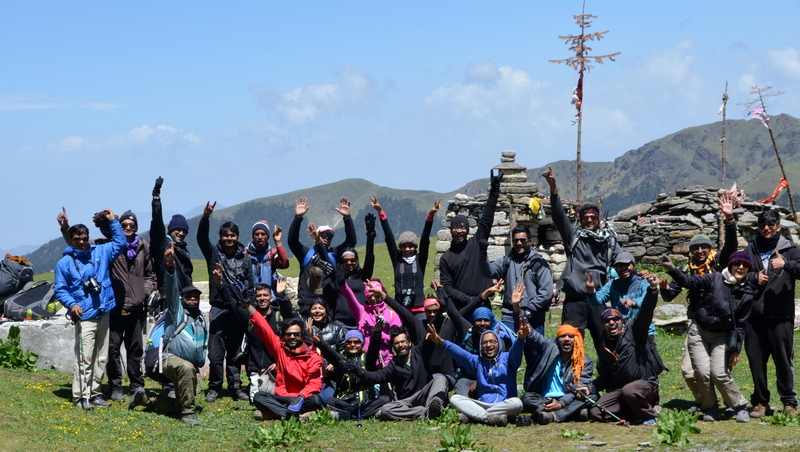 Since Roopkund is a difficult trek at this time of the season we decided to trek with TTH (Trek The Himalayas) Team from 19-May to 26-May. Some of the colleagues had previously trekked with the team with good reviews. My backpack was still unpacked with the stuff from the trek on the previous weekend. So I carelessly filled it with other warm clothes. It was later I realised that I had forgotten may items like a towel, soaps and other basic but important stuff. I reached Kathgodam at around 8.00 pm and met my colleagues. After eating a heavy pizza in the Dinner, slept at KMVN kathgodam. 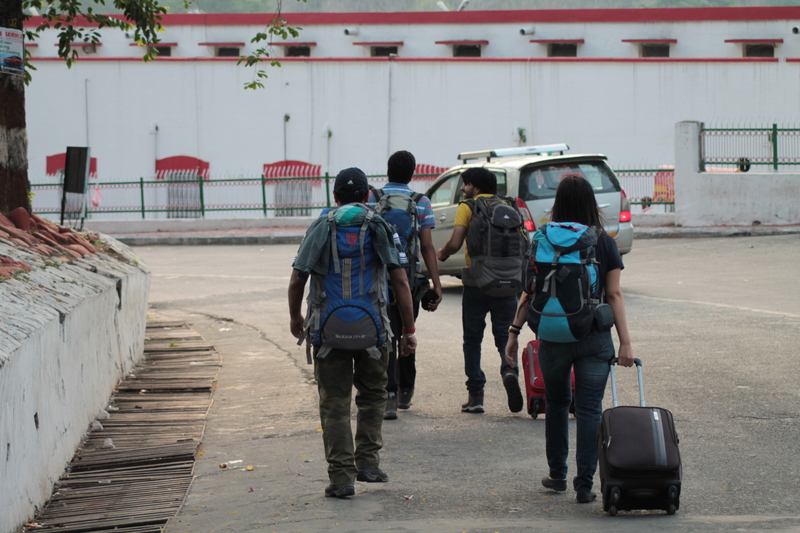 We reached Kathgodam railway station and waited for other fellow trekkers to join the party. At 7.00 am our cabs started a 10-hour long journey to Loharjung. Our driver was an extrovert and jolly fellow who went by the name of Mishraji. After crossing Bhimtal and Bhowali we stopped at a cafe for breakfast. Crossing Garampani and Almora somewhere after Kausani we parked for lunch. Here, Kumaoni dishes like bhatt ke dubke and dal were mouth watering (Well !! at least for me). The hotel provided the splendid views of the Garhwal and Kumaon Himalayas, but in the afternoon’s mist and smog nothing was visible. 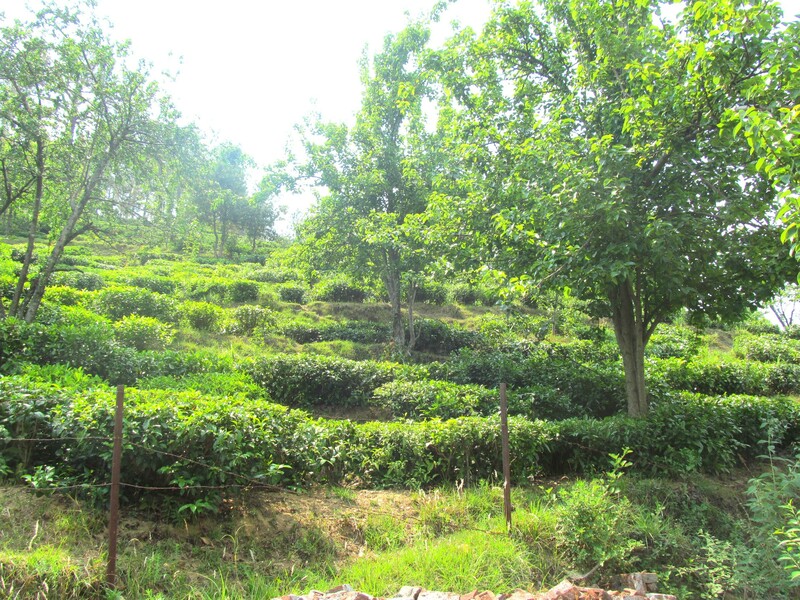 A few of us took a stroll in the tea gardens at the hills on the other side of the road. Again we continued our journey and after a few hours stopped at a small brook. Esctacy felt in the veins as we dipped our feets in the cold water of the brook. The journey continued after we took selfies and photographs. The condition of the roads became worse as we moved from Kumaon to Garhwal. 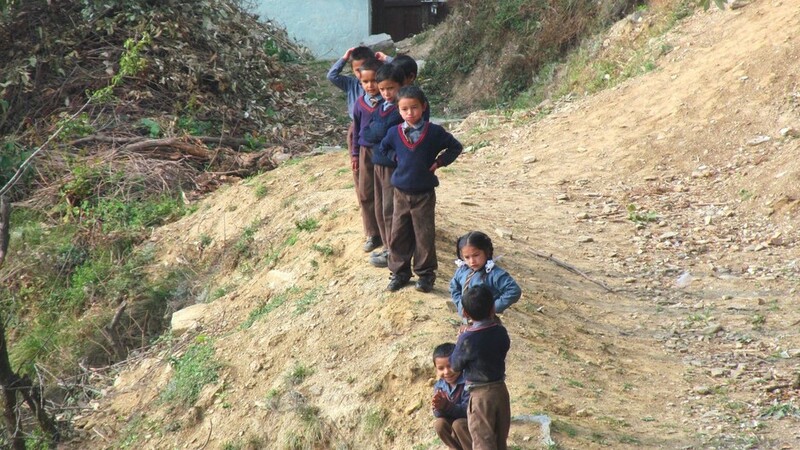 As Garhwal lies in higher mountains, it is more prone to landslides and other conditions which make the roads more tattered - explained Mishraji . 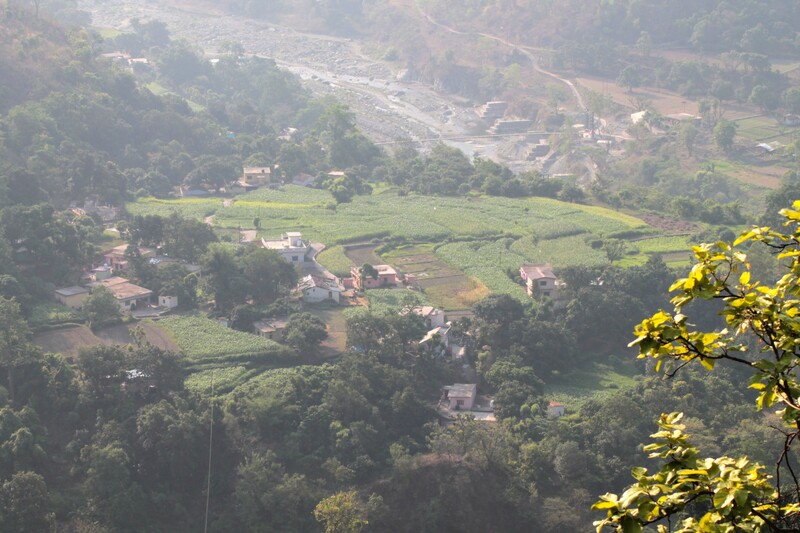 As we crossed Gwaldam, Mishraji told us many stories about the myth associated with the villages. 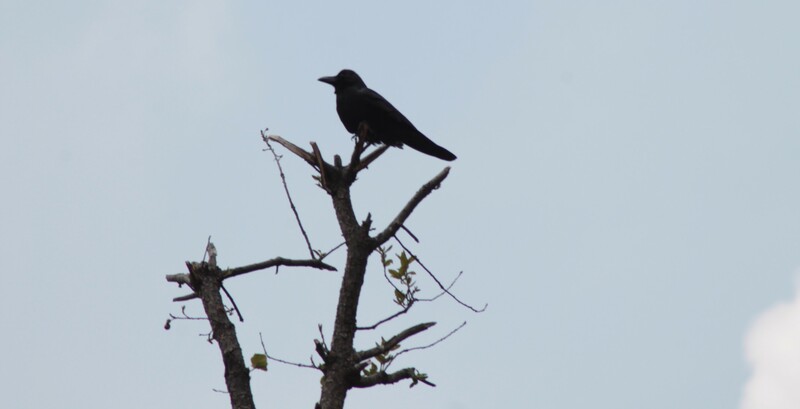 He showed us the tree which has five different species of trees and the meadow where no rice or wheat can grow after being cursed by Goddess Nanda. He told us the route we are following is the same for going to Badrinath and Rajjat yatra which is held once in every 12 years. 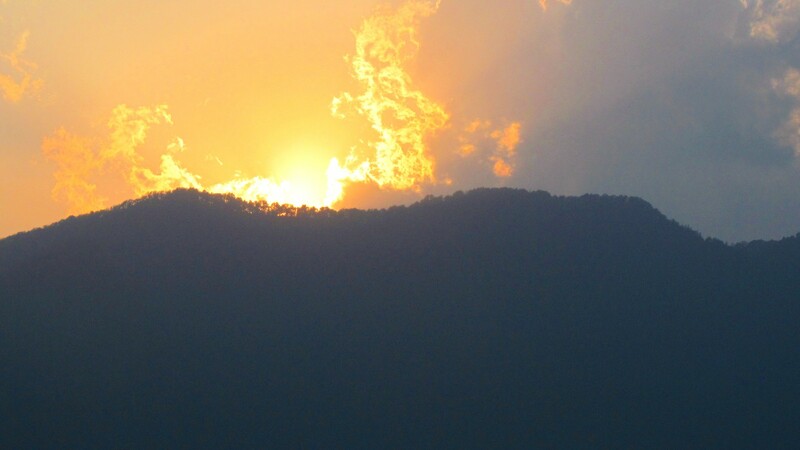 After a long break at Deval which helped me fetch those basic utilities, we reached Loharjung at around 5 pm. Mishraji told us about the story of the naming of the place as Loharjung. It is very surprising and intriguing that how these small stories are connected with each other. Every village here has shared some history in these stories, the kids are told these stories before they learn basic alphabets. This makes one question the facts and the fiction part of the story. After reaching Loharjung, later in the evening we had our first briefing. There we came to know about our trek leader Mr Gopal Kishan who was a young guy from Kullu. He had his own ways of saying things but also a good sense of humour. We came to know that we were 25 people from all walks of life - doctors, engineers, students and others. After a light know how, dinner and a quick game of UNO we went to sleep. After 6-7-8 routine, which meant tea at 6 am breakfast at 7 and Leaving the camp at 8. The trek started to Didana Village. Our team of 25 was joined by two other local trek guides. 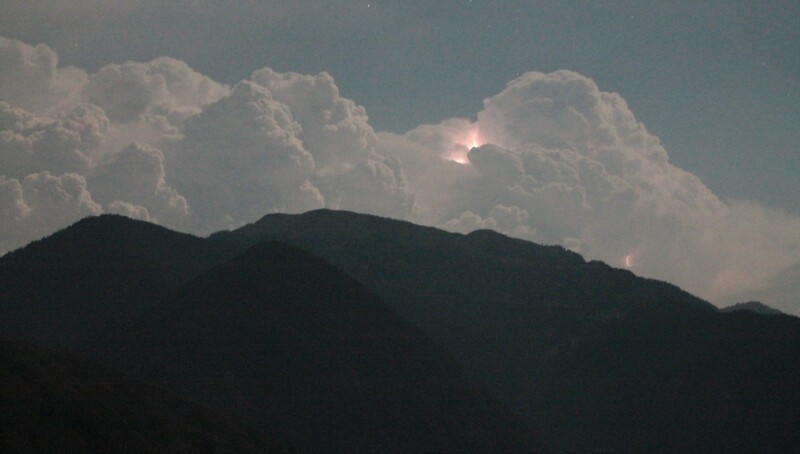 These two were well versed by the mood of their mountains. 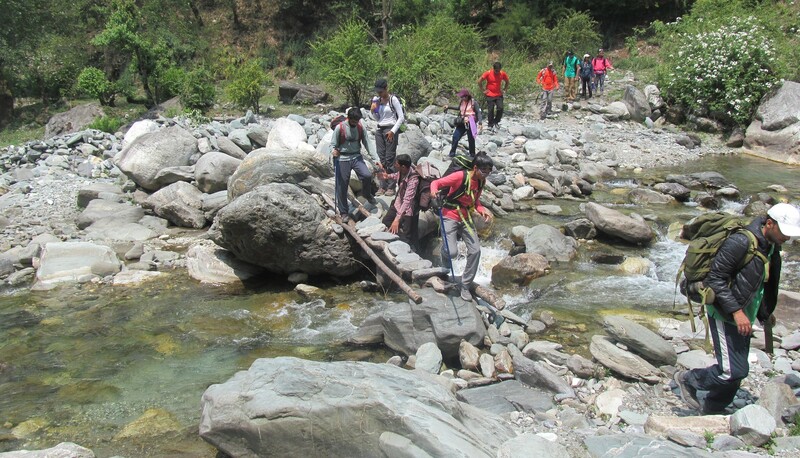 Initially, the trek was a gradual descent till Neelganga river. After that, we faced a steep ascent from here it is 2 hours climb to the village. 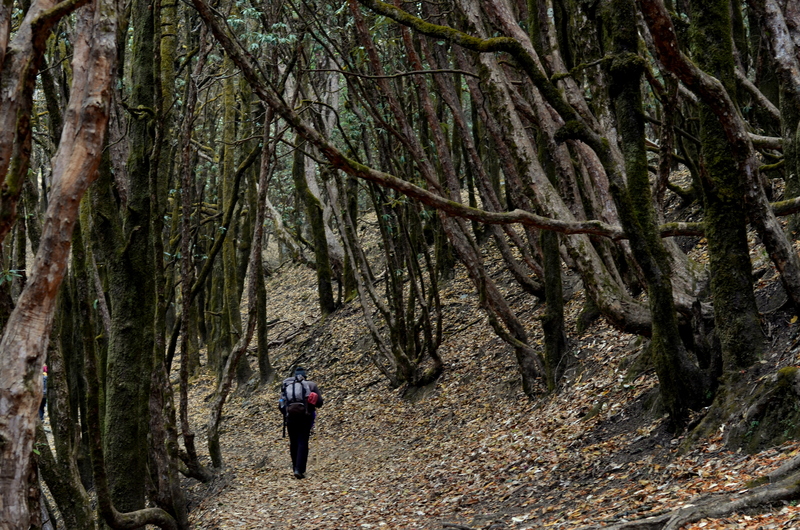 Our guide chanted “Mathu maath, Pahad Path” meaning only slowly slowly the mountains can be travelled. At Around 1 pm homestay at Didna village welcomed us with refreshing drink made from Buransh flower. In the evening, the blue sky grew darker and the it started raining. The evening transcended to night after some chit-chats, storytelling and Dumb Charades. After the same 6-7-8 routine we started the trek from Didna village. Didna was our last contact with civilization. The trek in starting seemed easy with moderate ascent but after an hour or so it felt like rock climbing. We refilled our bottles from Tolpani. In the last stretch to the meadows, our bodies were very tired. 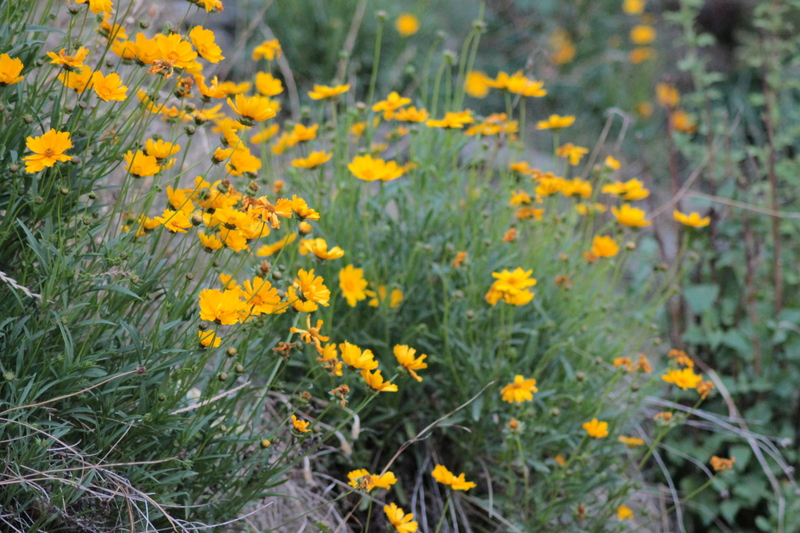 At around 12 am the oak forest around us magically ended and we found ourself on a yellowish green carpet of grassland that stretched to many kilometres. We had reached Ali Bugyal. Here we had our lunch that was packed from didna village. Sheep and horses grazing on the stunning backdrop of the mountains felt like a scenery from an art book. 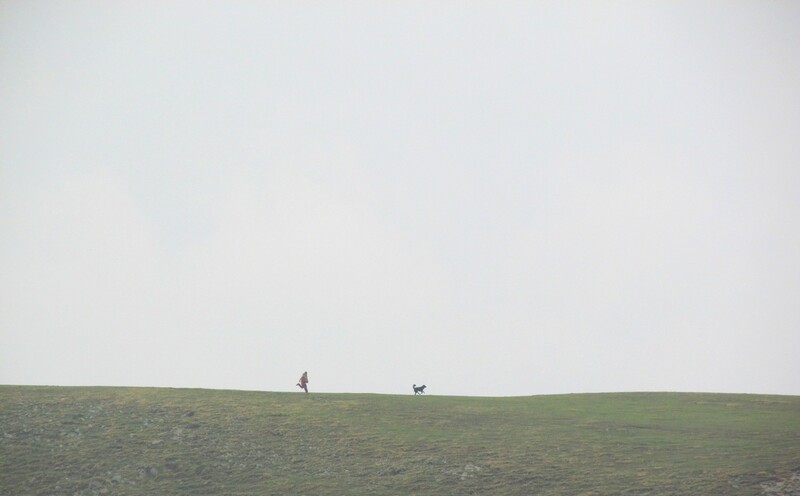 Somewhere here we were joined by billu our loyal companion for the rest of the trek. It was the first time we saw a tree line, the edge of habitat above which no tree grows due to altitude. This can be called AMS (Acute mountain sickness) for Trees. We descended from Ali Bugyal to our Base camps. With altitude gain, we had a heavy head. Fear of AMS started to build up on the rear. 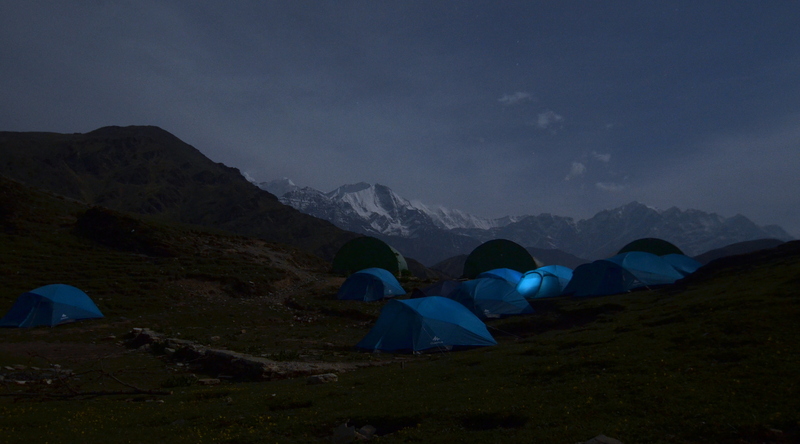 Our campsite was situated in front of a stunning view of Trishul, Nandaghunghti and Maiktoli peak. It was the first time I was viewing these peaks with such clarity and closeness. Tea and Hot parkoras in the evening made everything more enticing. It was a grand experience, little did we knew, this experience was going to get so much better tomorrow. In the evening on the command of our trek leader we started the hunt for dry wood for our campfire in the forest. The Team came back with a pretty impressive collection. 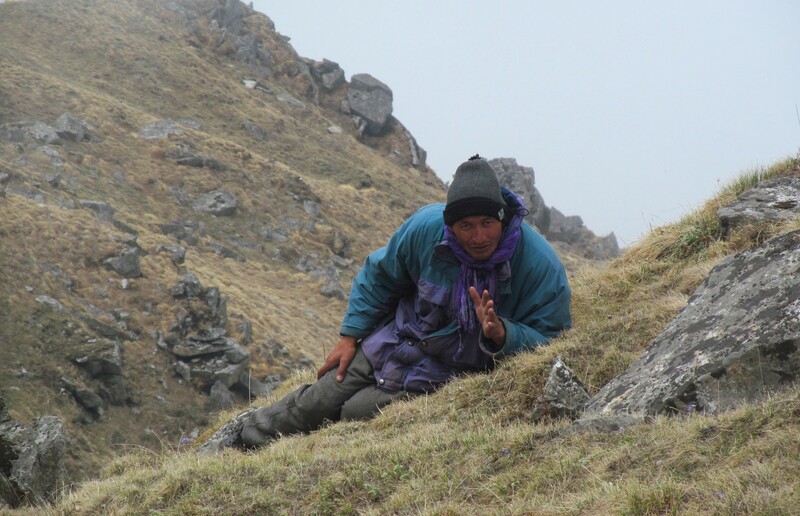 After the Dinner, a local guy told us about all the mythological stories surrounding the places during the trek. Later Team played Antakshari alongside the campfire. Inside the tents, we overheard people singing their local songs. Thinking of limited Kumaoni song library in my mind, I lost myself in another game of UNO. 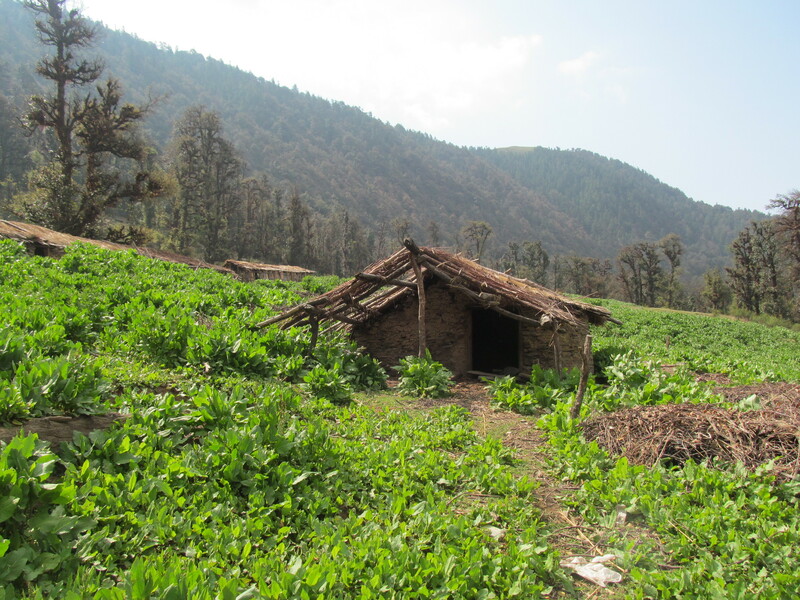 There is the scarcity of resources in Ali Bugyal and many other places. The support staff had to work very hard to keep the expedition running. Their hard work in these hostile climate gives you a feeling of guilt. Kudos to them. Yesterday was an arduous trek, but today we were promised that it would be a piece of cake. 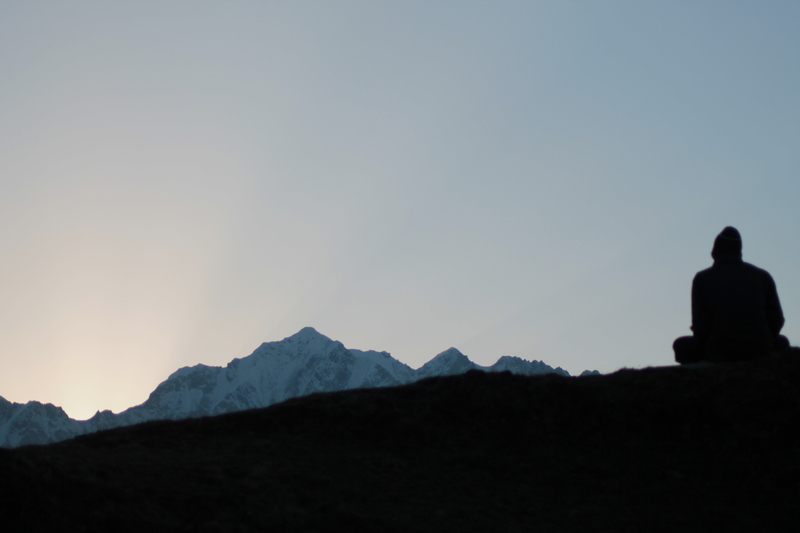 We started from Ali bugyal at around 8 am after watching the sun rising behind the Trishul mastiff. 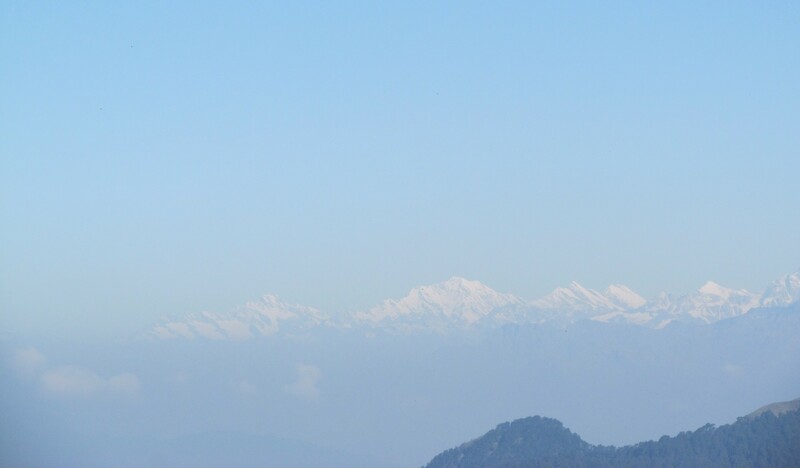 Just after reaching the steep top after 20 minutes, a magnificent view of Himalayas was seen. 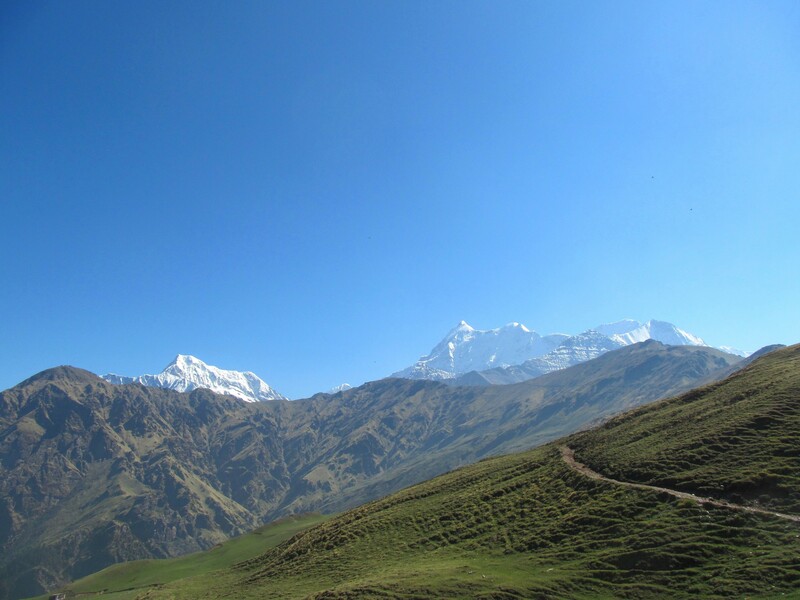 In the blissful morning, we saw peaks of Bandarpoonch, Mighty Chaukhumba, Hathi Parvat, Neelkanth on the left and Nanada ghunghti, Trishul on the right. Trishul felt so near that one can jump and touch it. The view became more vivid as we reached Bedni Bugyal. 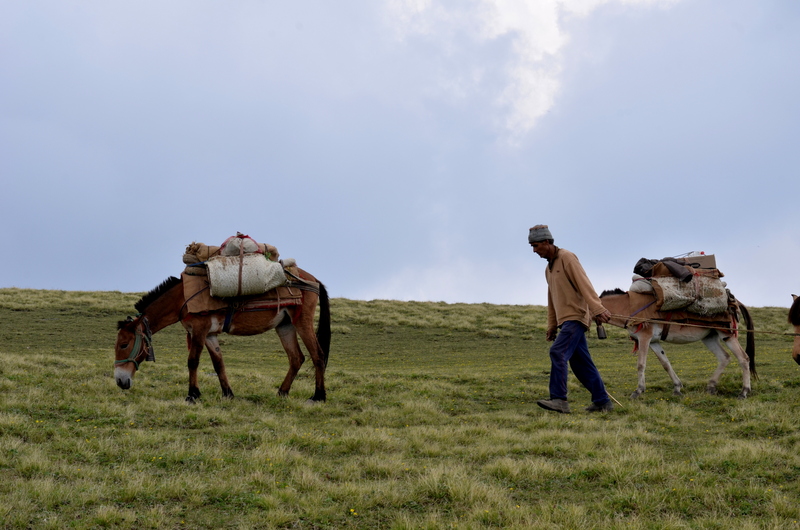 Bedni is called one of the best meadows in Garhwal just for nothing. 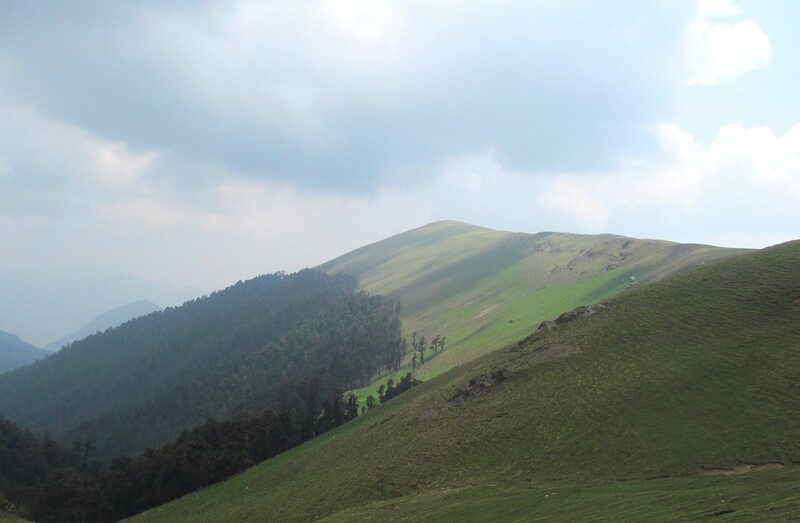 It offers delightful and amazing views of the peaks adding to its mythological relevance. 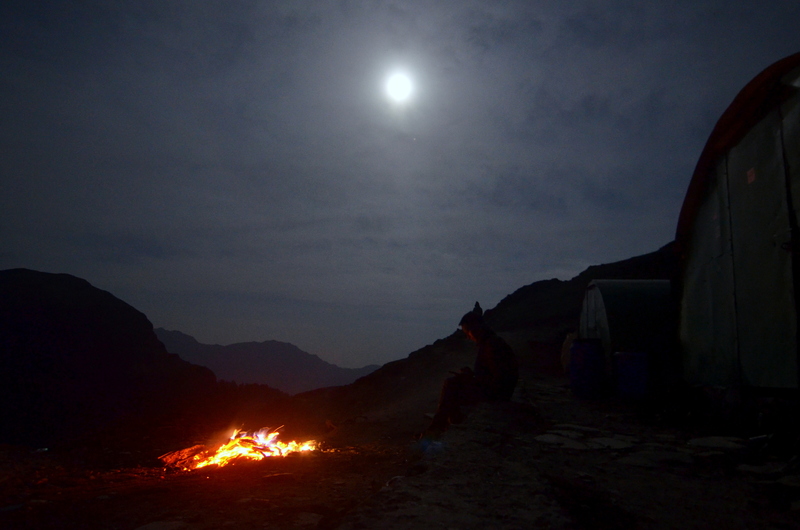 We reached Ghoralautani and saw our campsites in Patharnacuhani. We reached there after a gradual descent. Patharnachauni is a rocky place with a lot of winds and changing climate. In Patharnachauni, the fear of AMS struck to many, due to oximeter readings. But actually, it was mainly after seeing a guy on stretchers coming back from Bahguwabasa. The team went to acclimatise to a higher altitude in the evening. 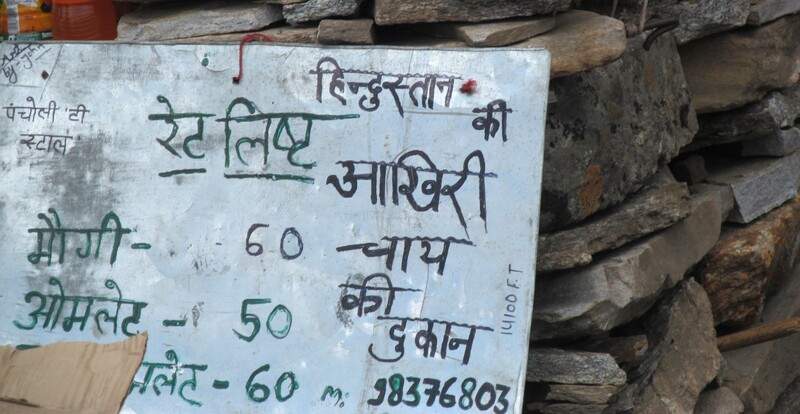 At the acclimatisation point, you magically get mobile signals and can call your loved ones after 3-4 days. This was more of a motivation for us to go to the point as no-one wanted to climb more after the day’s trek. 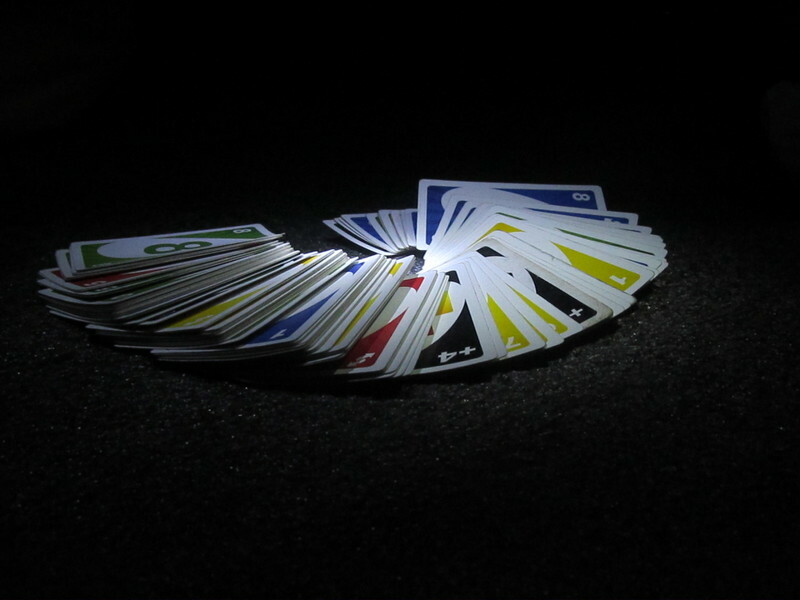 The Day ended with funny UNO games with 6 team mates in a tent of three. At night, the sky was very clear and stars were so close that you can touch them. We were told to keep only the essential stuff for the journey from here. 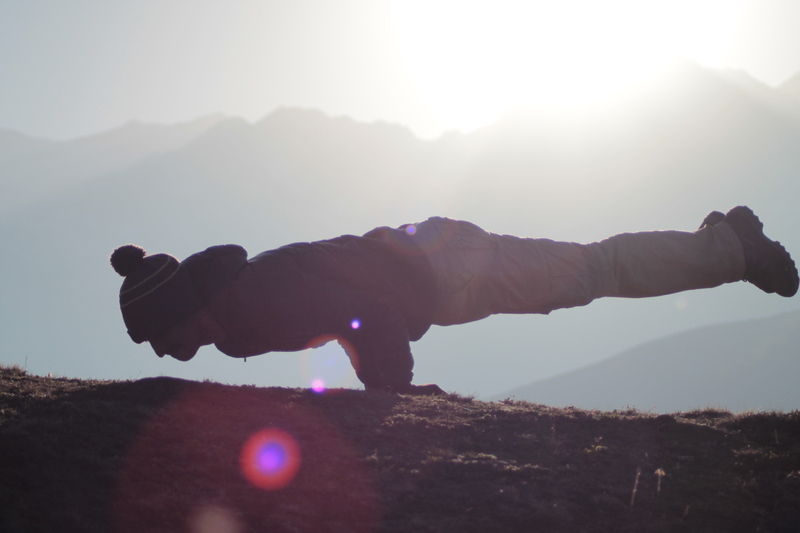 In the higher altitudes, even the weight of a handkerchief can put one down. We started from Patharnachauni and faced a very zigzag and steep climb till Kalu Vinayak. In between the resting point, one of our guides found “Keeda Jadi” which has medicinal value and is very costly in the market. One kg of this costs anywhere between 5 to 8 lakhs. Ascending up, the sound of conch shell from Kalu Vinayak became clearer. 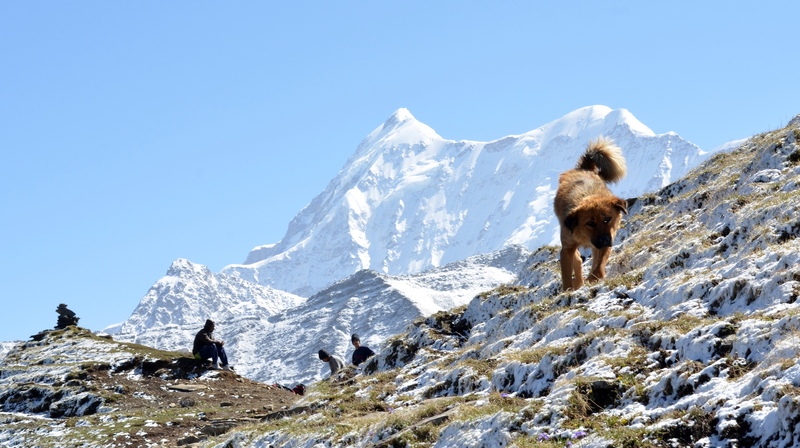 As we reached Kalu Vinayak we saw the seductive snow line at Bhaguwabasa and our final Camp Site. After and hour we reached Bhagwabasha through the snow patches. Honestly, the heart was filled with joy seeing myself amidst such a fascinating atmosphere. Bored of Dal and Rice we had tea and omelette near the shop that claimed to be the last tea shop in India. Later in the evening at around 3 or 4 pm. The grey clouds overshadowed the sunlight and in a matter of few seconds, snow started falling as if angels are having a pillow fight. As the ice flakes kissed our cheeks, the joy and happiness were visible in the cheer of the crowd. After the snowfall, our tents looked like blue beads in the clouds. The view was such hypnotising that it was very hard to describe from where the snow had ended and clouds have started. 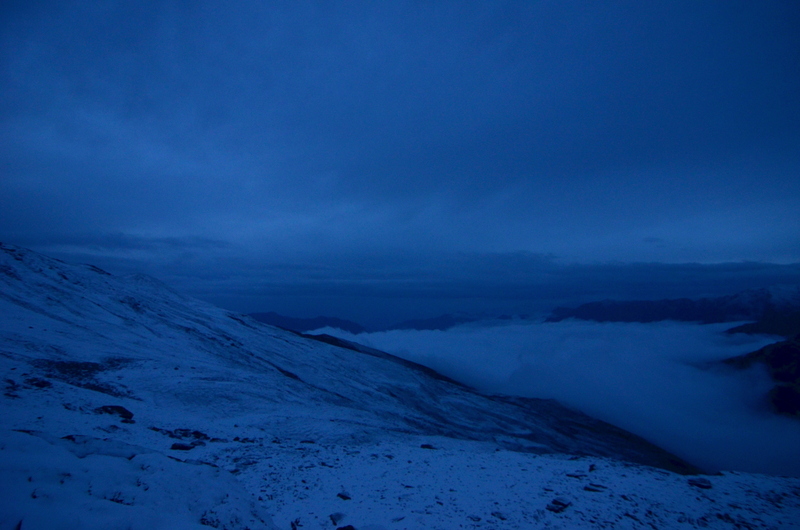 Later in the evening the evening we were provided crampons for walking on the ice till Roopkund. Our next day’s trek was at the mercy of the weather. We were told if the weather permits we will start the trek anytime between 3 or 4 am. I was unable to sleep due to the ecstasy of reaching the destination. From 9 am to 2 am I woke up around five times just to check the time. I heard the first whistle to get up for the trek at 2.32 am. 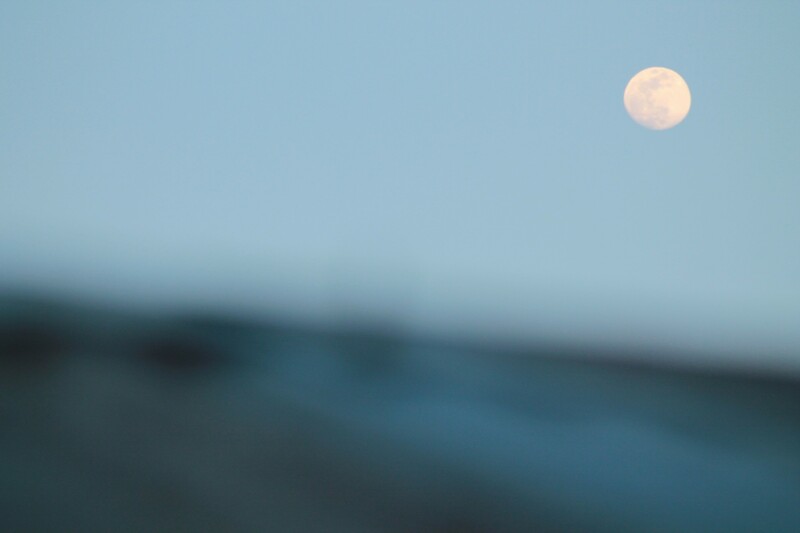 We lined up with our crampon boots and torches in our hands for the trek in the moonlit night. Few of us decided to stay back in Bhagwabasa. We were told that today is the most difficult day of the trek and indeed it was. 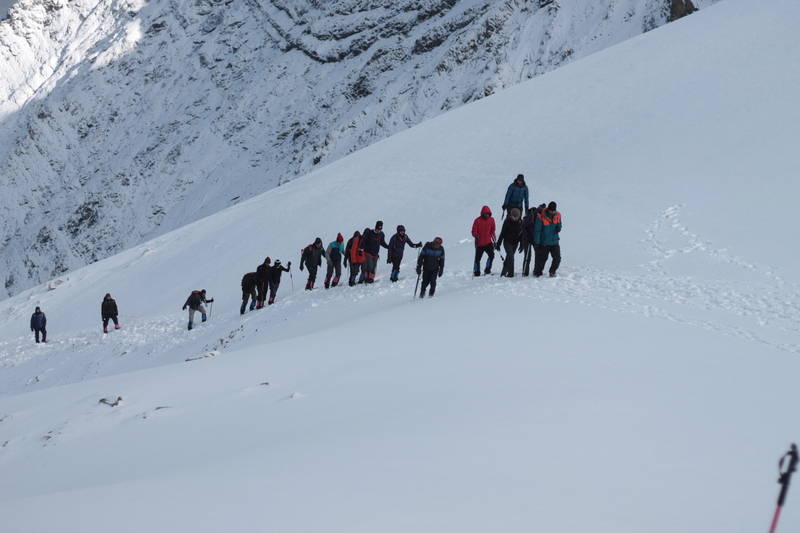 Within our groups, we were curious if we could go further from Roopkund to Junargali. After a few steps, our crampons were filled with ice-balls, which had to be removed. Trekking in snow becomes a lot tougher. After an hour or so the trail disappeared and the guides and technical team with us carrying ropes and axes created a trial in the snow. These guys had vast experience of the mountain and by running to and fro they made sure that no-one slips and falls into the valley. Huffing and puffing we made to the last few meters. These 500 metres were by far the hardest. We joined hands on the little temple at the top and thanked Goddess Nanda for journey till here. 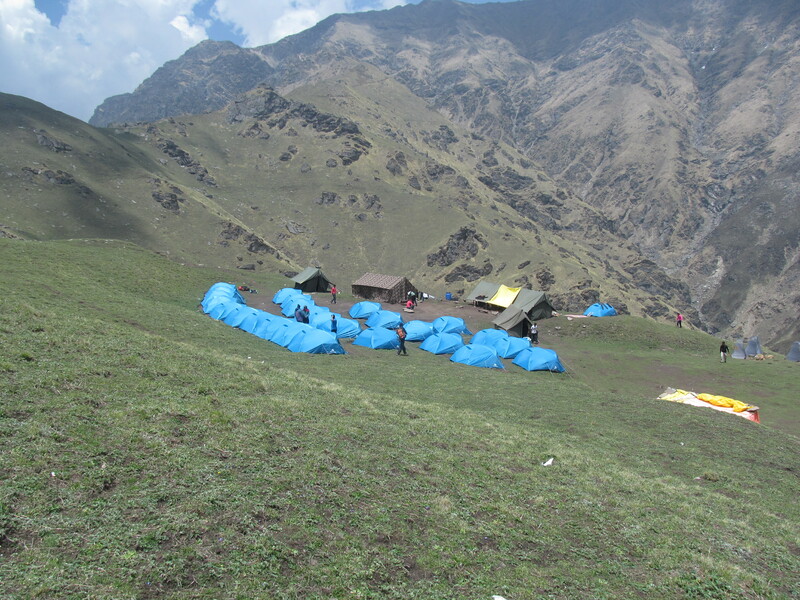 Roopkund was situated beautifully between the mountain. The water in the lake had a thin sheet of ice. 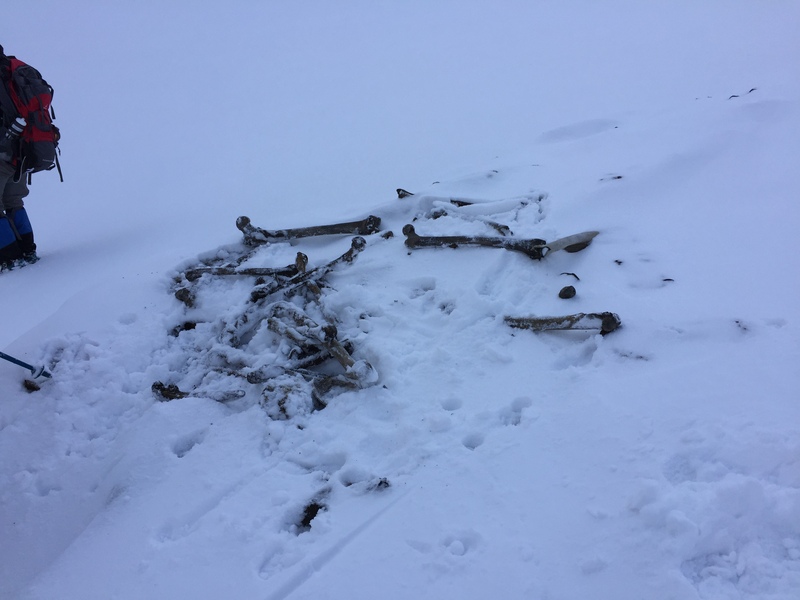 Some trekkers were able to locate some skeletons on the outskirts of the lake surrounded by snow. Junargali looked achievable but soon the entire atmosphere we covered by fog and mist. So the trek leader dropped the plan. 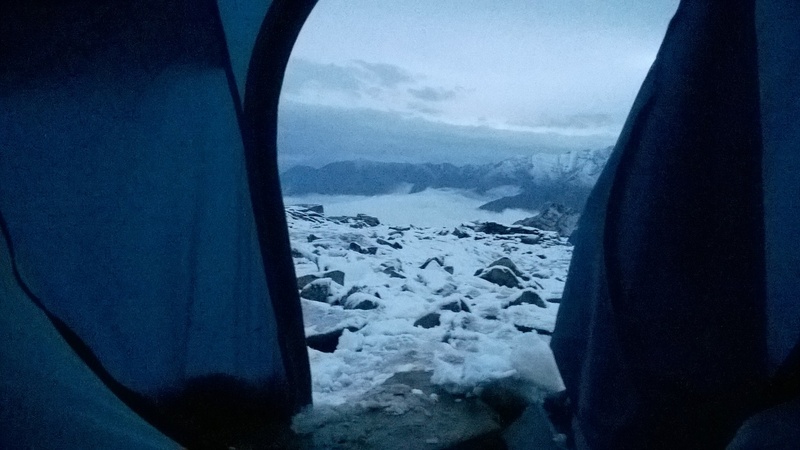 At Roopkund, we were served with Porridge which was bland but tasted heavenly.After quick surreal view of the surrounding and lots of pictures, we started our descent. It was foggy and we are unable to see if our group lead is at the front or back. 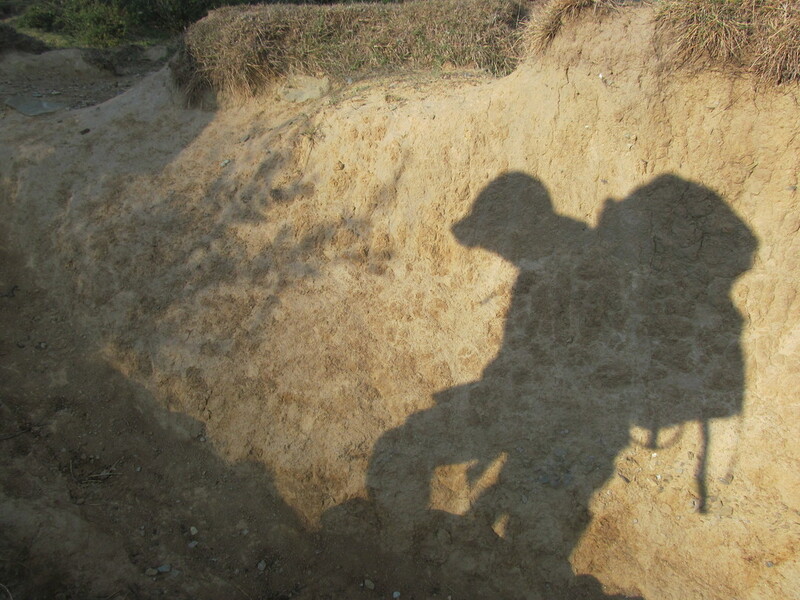 In this confusion, we made a quick descent and reached Baghwabasa quickly. Here I cheated a quick nap while waiting for others. The weather turned hostile as it started raining at the time of descending. After having lunch in the main tent we made the quick decent to Patharnacahuni in ponchos. 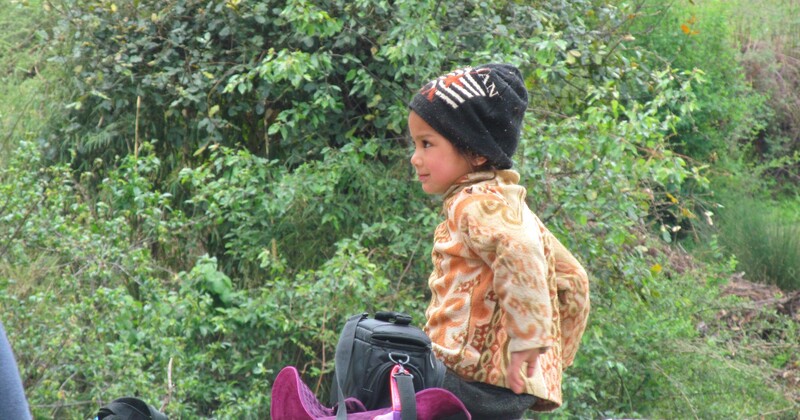 We greeted good luck to the travellers on the route going for the trek. At Patharnachauni while coming down we witnessed the strongest of the mountain winds and it was sheer fun. We reached Patharnachauni at around 3.30 pm which was followed by some quick naps. Today was the 15 km descent from Patar Nachauni to Wan Village. From wan Village Transport was arranged for back to Lohajung. It took us three days to reach Patharnachauni now we have to do it in one day. However, descending down is a piece of cake compared to ascending up, the quote goes for life as well. 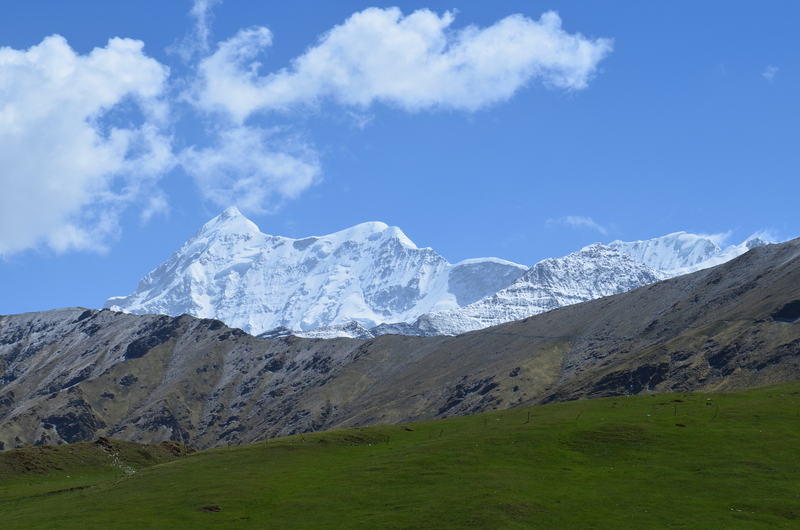 We reached Bedni Bugyal and the clear skies gave the astonishing views of Trishul in the backdrop. 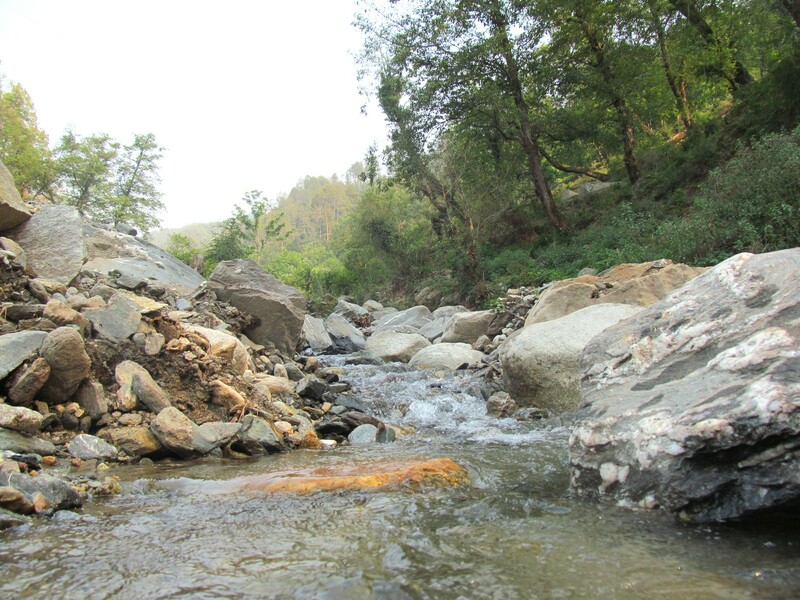 From Bedni is the steep descend to NeelGanga river. Without getting in the eyes of the group lead we took steep shortcuts from the forest. It was fun playing “I Spy” with the lead but its not safe. 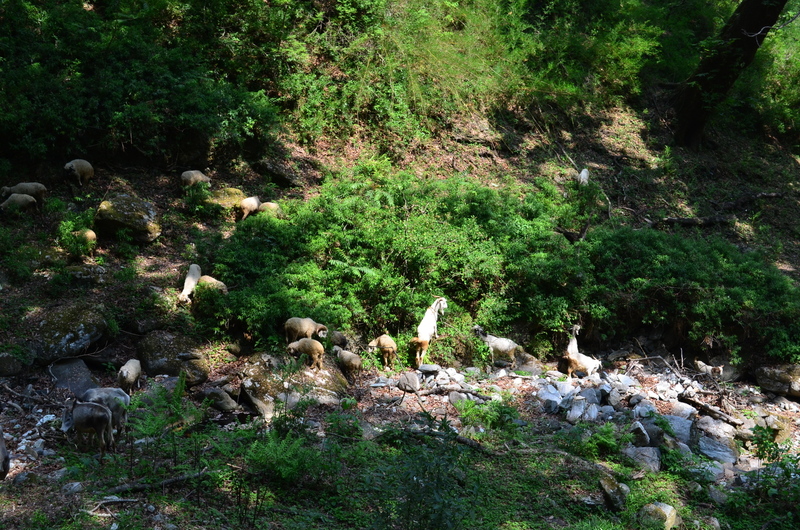 We reached Neelganga river and had our lunch. Here we did face dips in the icy cold water just to get more sunburned. It was worth it. 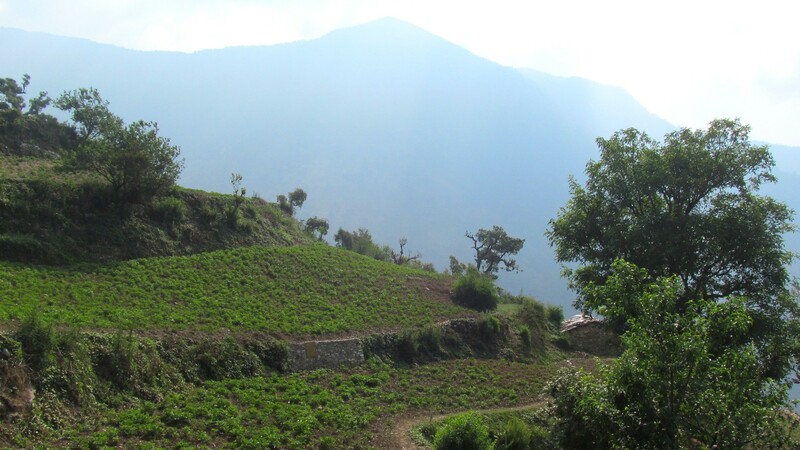 From here there is around one kilometer ascend to the top ridge from where wan village is visible. We literally ran downwards as the cloud started forming above our heads and we were in no mood of putting the ponchos back. At around 3 pm we reached wan and it just started raining. We reached Lojarjung after an hour ride from wan. 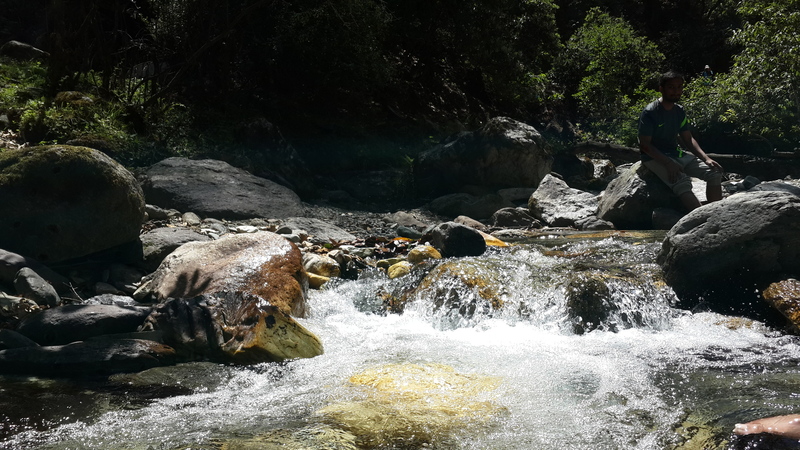 At Loharjung, almost everybody took a bath after 5-6 days which was indeed refreshing. Meanwhile, everyone was sharing their experiences as the trek leader distributed the certificates. After a small party and lots of storytelling, we went to sleep. Today’s journey back was tiring, boring and long as everyone was engrossed in the Himalayas. 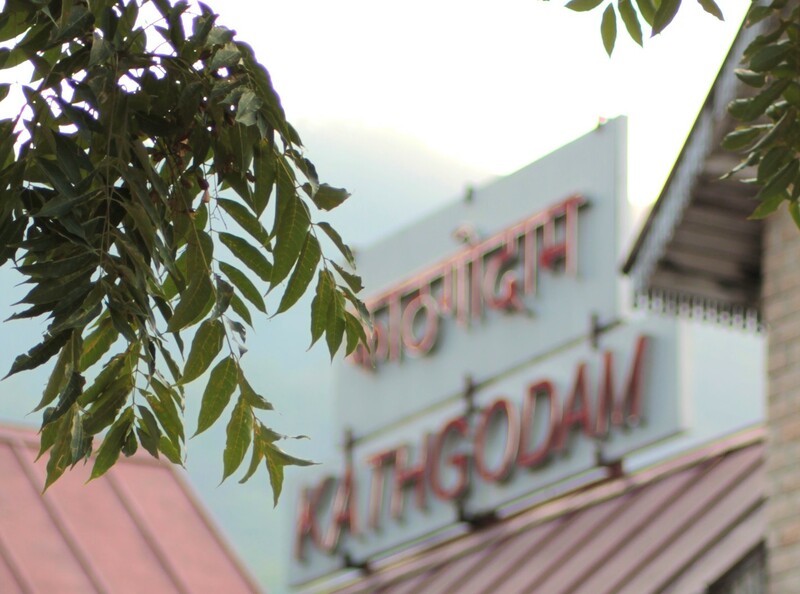 We reached Kathgodam and watched movies to pass the time. It was when I reached home I realised that I am seeing myself in a mirror after 8 days. My mum exclaimed, “Went to Africa or what” after seeing my tanned face. This expedition was a true test of self, both mental and physical. 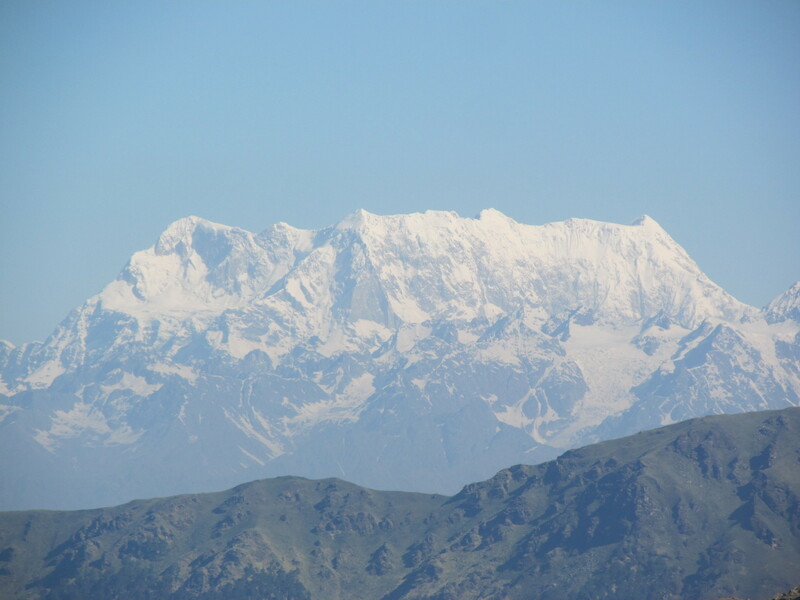 But the Himalayas keeps your motivation high, fine meadows, peaks of Nandaghunghti and Trishul keeps you inspired. The end destination might not be as awesome, but at the end it the journey that matters.